Take Some Tips For Sweatshirts From These Pictures Of Erica Fernandes! Sweatshirts are one of the best casual wears for the youngsters today. Want to out for a vacation? for a party? or just at a casual gathering? The right sweatshirt can give you that edge of a look. Recently, Erica Fernandes shared two of her sweatshirt looks. The actress had went on a trip to Switzerland and posted two great pictures of hers in sweatshirts. The yellow and pink swetashirts of the actress by SR Store and Koovs are really great to look at. 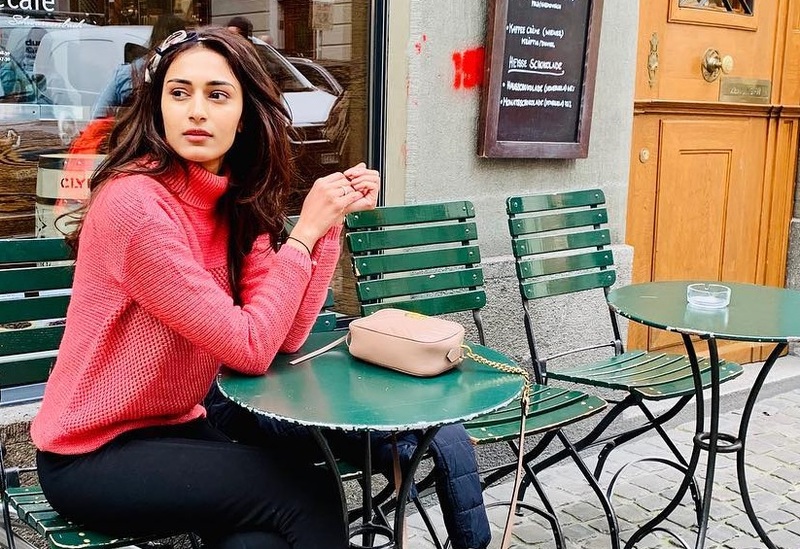 Take a look at what the Kasautii Zindagii Kay’s leading lady wore at Switzerland and if you like it, then make sure you grab a few of these for your own cupboard. Stay Tuned To Fuze For More Updates! These Pictures Of Anurag And Prerna Are Literally Breaking The Internet! I like the pink one!! !